Late on Sunday night, NASA’s Mars Science Laboratory (MSL) website had a surprise in store: Curiosity’s recently un-capped robotic arm-mounted Mars Hand Lens Imager (MAHLI) snapped some incredible photographs of the rover’s undercarriage and its calibration target. 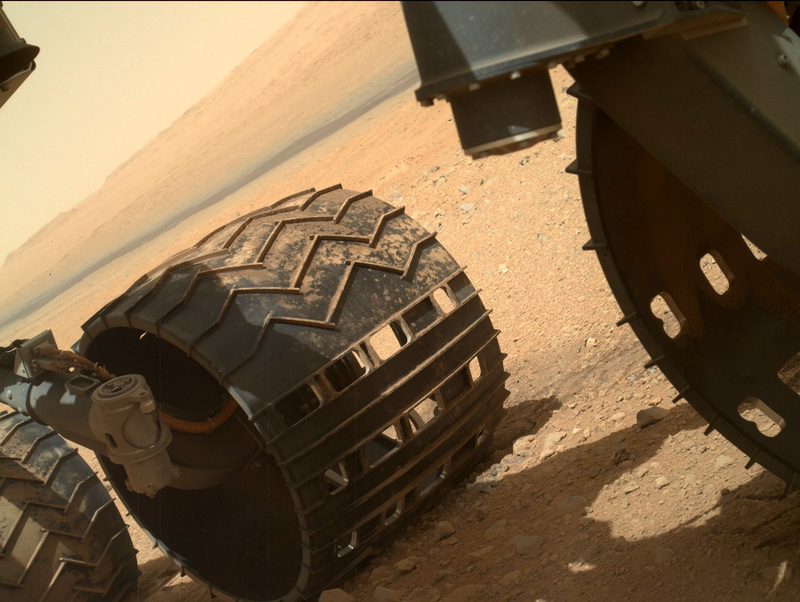 Shown above is my favorite pic, detailing dust on two of the rover’s wheels. 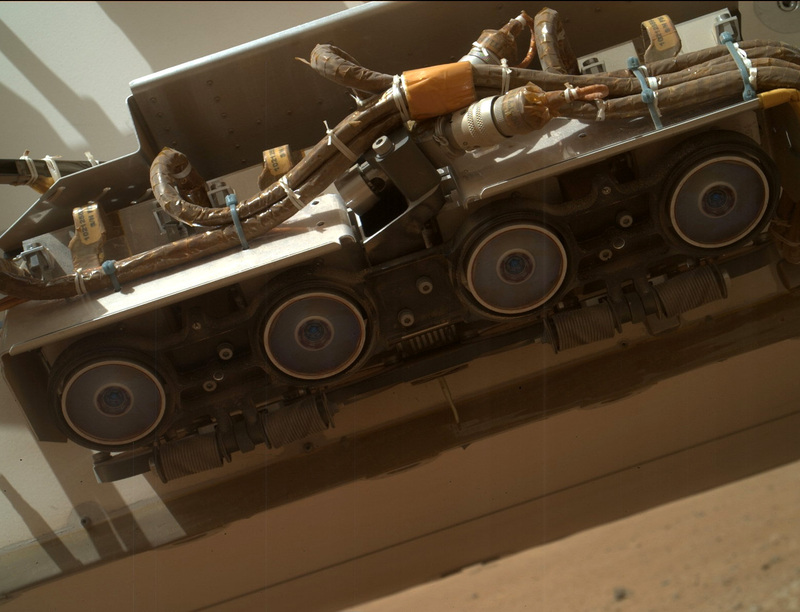 Shown below is an image of Curiosity’s set of front Hazcams (left and right pairs).